With a helping hand from a local nonprofit, a Missoula woman now looks to put shoes on your feet. At least some of you. After two years spent researching shoe design and materials, Missoula native Maren Lorenz has gone all in on her new fashion business, Bean-An-Ti. 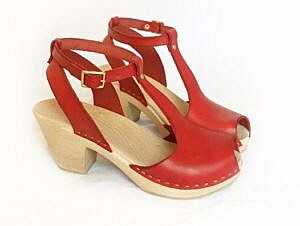 The upstart venture specializes in trendy wood-bottom clogs with hand-dyed leather uppers. They come in a variety of styles and colors. The experience of becoming a parent gave Lorenz a renewed appreciation for the strong women in her life. Through shoemaking, she developed an outlet for her creative talents while maintaining a flexible work schedule as a part-time stylist in a Missoula salon. Aimee McQuilkin, owner of the downtown boutique Betty’s Divine, connected Lorenz with the Montana & Idaho Community Development Corporation for some expert advice in launching a local business. The Missoula nonprofit provides loans to entrepreneurs and businesses, including startups that wouldn’t qualify for traditional bank financing. McQuilkin worked with the Montana & Idaho CDC on the launch of her own boutique, and she urged Lorenz to reach out and pursue a loan. Last year, the Montana & Idaho CDC loaned nearly $5 million to 32 entrepreneurs and small-business owners across the state, including Lorenz. The organization’s clients also receive one-on-one technical assistance in financial management, marketing, sales and other areas of business management. 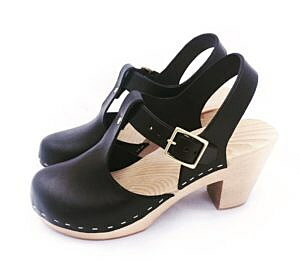 Lorenz felt confident about her product after observing a resurgence in comfortable, fashionable clogs. The desire for handmade and locally made items served as an additional niche. Each pair of Bean-An-Ti clogs take about three days to finish, including the drying time. Lorenz said the shoes are now available online and in select boutiques, including Betty’s Divine on the Hip Strip in Missoula. “Not only did the Montana & Idaho CDC provide a loan that allowed me to purchase a leather-cutting machine and order the Spanish-made wood clog bottoms in bulk, they also guided me through the ins and outs of starting a business,” said Lorenz. Lorenz said she’ll donate a portion of the proceeds from her shoe sales to a local nonprofit.